I'll be watching the fight later with millions of Filipinos worldwide. 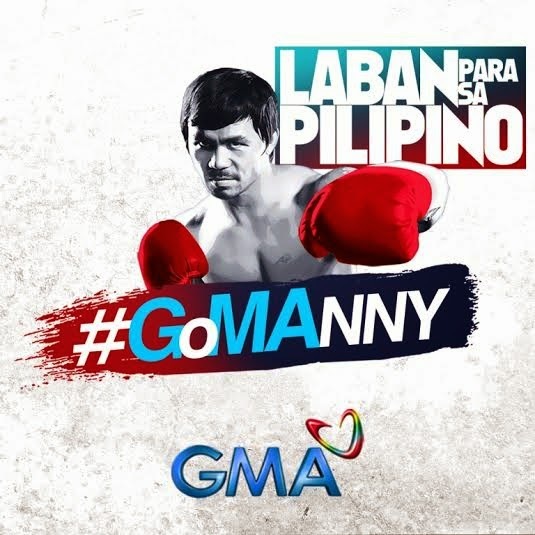 If you haven't showed your support yet for our very own Manny Pacquiao on social media, GMA is going to make it easier for you as they've come out with these great images that you can use to support our boxing superhero. This is part of their #GoMAnny campaign of course! You can use this one for your Twitter profile's header. You can also use this other one for your FB header. You can use this square one for your Facebook profile pictures and Instagram too! If you're not convinced, then this video might teach you a thing or two in supporting Pacman! Go change your profile photos now! Let's all get behind our Manny Pacquiao! Watch it live on GMA at 9:30AM.